The Harbour Estates Winery is located in a unique setting of the Niagara Peninsula, along the Jordan Harbour. This area provides guests with the ideal views of the picturesque surrounding area, this water themed winery stretches across 1800 feet of the harbour. The Winery is dedicated to the production of premier VQA wines, from premium grown grapes from the surrounding area. The vineyards at the Harbour Estates consists of 30 acres of red vinifera grapes, mainly focusing on the Cabernet Sauvignon, Cabernet Franc, and Merlot grapes. This is a complimentary winery tour that allows guests to explore the facility and the surrounding area. A tour brochure is available at the boutique to show the points of interest. 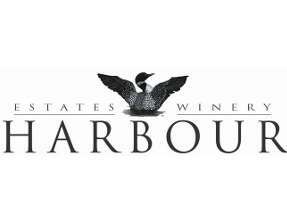 This is a fun and educational tour of the winemaking process by the Harbour Estates winemaker. A sample of three wines is included in the 45 minute tour. Cost is $10/person plus GST. This is tour of the Harbour Estates vineyards. Guests can learn about the award winning region and the terroir of the Niagara Peninsula. A sample of three wines is included in the 45 minute tour. Cost is $10/person plus GST. The tour allows guests to learn about the history of the Jordan Harbour and the surrounding natural beauty. A sample of three wines is included in the 45 minute tour. Cost is $10/person plus GST. The tour that combines the winermaking process, the vineyards history and facts, and the natural beauty of the wineries area. A sample of three wines with cheese and cracker plate is included in the hour and a half tour. Cost is $15/person plus GST.